William Prentice was the proprietor of a grocery store called W. R. Prentice in Foxboro, Ontario. Donated by Don Priest in March 2006 (accession 2006-02). 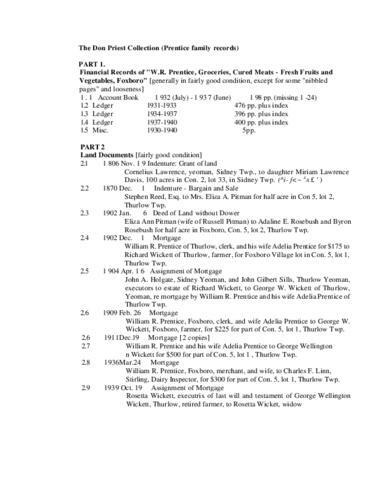 Financial and property records relating to the W. R. Prentice store in Foxboro, Ontario, operated by William Robert Prentice and his wife Adelia.